TULSA, Okla. (May 17, 2016) – Hall Estill, Oklahoma’s leading law firm, announces that Michael Keester has been elected to the firm’s Executive Committee. Keester joins current Executive Committee members Larry Ball, Mark Banner, Jim Reed and Mike Cooke. Keester joined the firm in 1993 and has served for many years on the firm’s Board of Directors. He has been practicing litigation in Tulsa for over 30 years and has an AV rating through Martindale-Hubbell. In addition, he has been selected a Best Lawyer in America in Litigation-Construction, Litigation-Municipal and Commercial Litigation and has been recognized as an Oklahoma Super Lawyer in Civil Litigation Defense. Further, he was named the Tulsa Lawyer of the Year in Construction Law by Best Lawyers, in 2012 and also in 2015. Keester is a graduate of the University of Oklahoma College of Law (J.D., with Honors, 1984) and the University of Oklahoma (B.A., with Distinction, in Political Science, 1981). He is actively involved with the American Bar Association, Oklahoma Bar Association and Tulsa Bar Association. 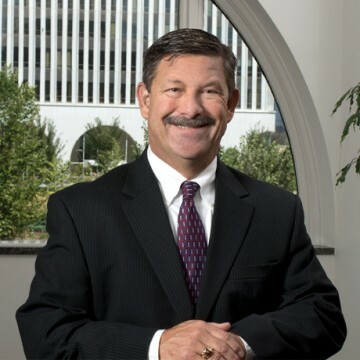 He has served as a director for the American Heart Association and the Oklahoma Association of Defense Counsel, as well as a past president of the University of Oklahoma College of Law Alumni Association. Keester is also a current member of the City of Tulsa Ethics Advisory Committee.